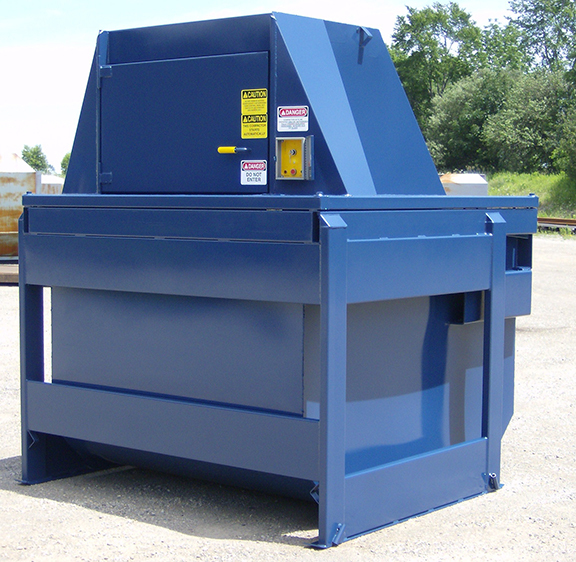 Vertical Compactor | AC Waste Services Inc.
Hotels, restaurants, fast food, strip mall, golf courses, retail and small industrial customers (up to 30 cubic yards of waste per week). While feed door is closed the crushing ram auto cycles. Control panel is key-activated, fully enclosed, and weather proof. Sturdy structure prevents spillage of waste. Illegal dumping by others deferred due to a design that is fully enclosed. Compaction can decrease waste to a mere fraction of its starting amount. Pavement damage and truck congestion are decreased due to reduced haulage.